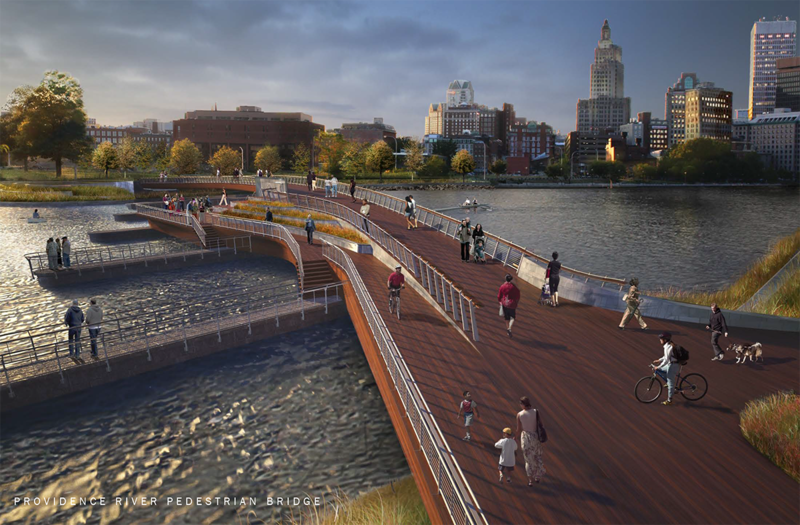 The fate of a long-delayed pedestrian bridge across the Providence River is back on track, after a flurry in recent weeks of negotiations, meetings and budget deliberations. The Department of Transportation expects to award a bid in October so the bridge can be completed by November 2018, spokeswoman Lisbeth Pettengill told The Providence Journal. The DOT and the I-195 Redevelopment District Commission are pledging to spend about $6 million more than the DOT’s earlier estimate to build the bridge.